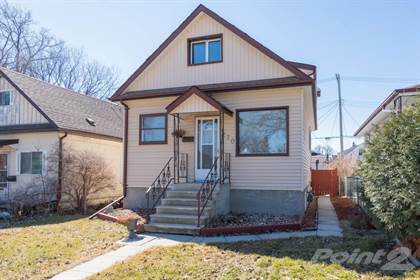 I am interested in 855 Nassau St S, Winnipeg, MB. 855 Nassau St S is a 949 square foot House for sale in Winnipeg, MB R3L2N1. It has 2 beds, 1 baths and was listed on Ovlix.com since April 15, 2019 by Re/max Performance Realty for $199,900. Listing agent: Kevin Moist. The average price for similar 855 Nassau St S real estate listings - $345,822 which is 17% lower than $414,767 for Winnipeg, and 9% lower than $378,485 for Manitoba. Comparable nearby homes are: 519 Tremblay St, 3210 197 Victor Lewis Dr, 1012 Manhattan Ave, 5 858 St Mary's Rd, 601 1720 Pembina Hwy. What's near 855 Nassau St S, Winnipeg R3L: Winnipeg South Centre, Nassau Street (Winnipeg), Fort Rouge (electoral district), St. Vital (electoral district), CIUR-FM, Riverview Health Centre, Fort Rouge, Winnipeg, Churchill High School (Winnipeg), St. Ignatius Church, Winnipeg.